How do you trap flavour or drain fat using the same grill? the Adjusta Grill & Press includes a flat bottom plate which increases its versatility, enabling you to cook eggs, pancakes and sandwiches. Adjust the feet forwards to grill flat, keeping all the juices on the grill plate or adjust the feet back to drain the fat into the drip tray. 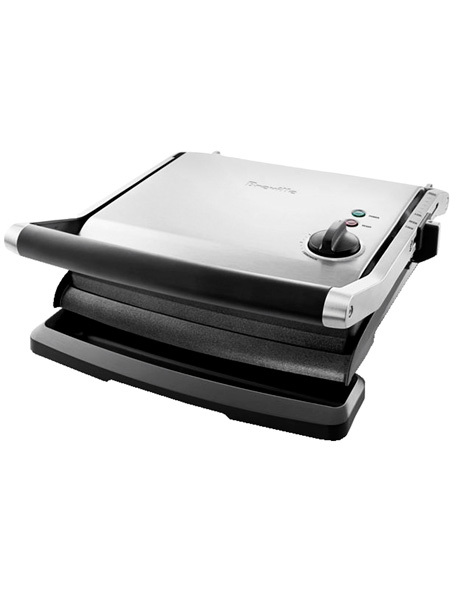 The adjustable top grill height not only prevents delicate ingredients from getting crushed, but means you can use the top plate to cook eggs over easy without flipping or melt cheese onto open melt sandwiches.